A Cornwall councillor has accused the authority of acting too early on spending cuts. 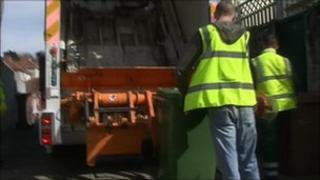 Cornwall Council has approved a budget for £170m of savings over four years, with about 700 jobs expected to go. Lib Dem Alex Folkes said the council should have waited until Monday when government funding cuts were announced. The council said the announcement of a drop in funding of £16.8m next year, "reinforces the council's decision to 'go early' and set its budget". Councillor Folkes said the drop in funding, a fall of 3.2%, meant some jobs could have been saved. He said in his blog: "Of course it was right to start work on the budget some time ago, but it was wrong to sign it off before we knew the details. "If Cornwall Council really wanted to spare the pain, they would have waited until the settlement was published and made cuts accordingly - cutting only what they absolutely had to." The council said in a statement: "We have only just received details of the funding which has been allocated to the council. "This is always a very complex issue which has been made even more complicated this year as the settlement figure includes a number of specific grants which were previously ring fenced and some NHS monies. "Our initial analysis suggests that the settlement is generally in line with our expectations of around a 10% reduction in grant funding next year. "It will take weeks to unravel details of the settlement which reinforces the Council's decision to 'go early' and set its budget."